2019 needs to be a big year for Snap, Inc. The company was once on the tip of every marketer’s tongue as the next big thing, but it’s had trouble since its IPO in shaking its user growth struggles. While Snap hasn’t been losing users on its core Snapchat platform, it hasn’t been able to grow users either. Its Q4 2018 earnings showed flat growth overall, which has led to the widespread notion that Snapchat isn’t the place to reach an audience. Instead, marketers are shifting their focus, time and efforts to other, larger players like Facebook and Google. Last week, Snap worked to retake the narrative and establish a vision for its future at its first-ever Partner Summit, an event for developers, advertisers and content creators to see just what Snap has in store. Overall, Snap’s approach could be bucketed into two key areas: remove the necessity of users for scale and maintain camera leadership. Like I said, Snapchat’s user numbers have remained flat, which has led to a reputation for Snapchat that it’s not the place to achieve scale. When advertisers are deciding between Google, Facebook and Snapchat, they’re often going to err on the side of audience size. 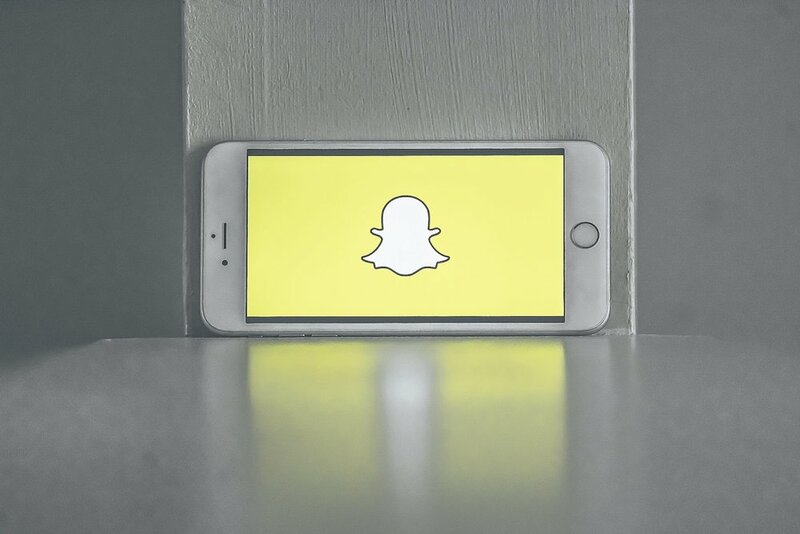 Snap’s biggest move in alleviating its user number issue is the newly-announced Snap Audience Network, which will let Snap sell ads across a network of apps. This means advertisers working with Snap won’t be singularly reliant on Snapchat’s user base for their reach. Now, questions still remain on what apps are included in the network what data will be collected and targeting capabilities, but as the offering rolls out Snapchat won’t just be pitching advertisers on reaching the Snapchat user base; they’ll be pitching them on reaching users across a network of apps (not unlike Facebook’s audience network). The other way Snap’s creating scale indirectly is by unlocking its camera. Now, Snapchat Stories can be shared to apps like Houseparty and Tinder. This allows users on Tinder to, for example, share their Snapchat Stories to their Tinder profiles, and in turn, allows Snapchat to disseminate one of its most defining features, Stories, to more people whether or not they’re on Snapchat. That may encourage them to sign up for Snapchat themselves, but at the very least, it’ll expose them to the brand and possibly create new ad revenue opportunities in the future. The second area is Snap’s focus on its camera. It already has significant leadership here when it comes to tech, features and usability even though Facebook is doing everything it can to catch up. Snap launched Landmarkers to let users place landmarks like the Eiffel Tower in their Snaps and its using image recognition to recommend GIFs users can add to their Snaps to make them more engaging. It’s even enabling users to aim their Snapchat cameras at equations to solve them. It really seems that Snapchat is still confident in its camera leadership position and is developing features that match that confidence. Facebook may copy them, but Snapchat appears confident it can maintain its edge. Snap has a narrative that it needs to reverse around user numbers, and its story appears to be taking shape. First, it’s no longer going to make advertisers be strictly reliant on its users to reach an audience, and second, it’s continuing to place a lot of emphasis on its camera technology, which still remain a primary point of difference in the social landscape. We’ll see if this is enough. Posted in Snapchat and tagged with Snap, Snapchat, Partner Summit, Camera, Audience Network. April 9, 2019 by Taylor Wiegert.